AFTER A 19-year absence, Limerick FC are back in the big time. The ‘Super Blues’ captured the First Division title without even having to kick a ball on Friday night as second-placed Waterford United went down 2-1 to Mervue United. That defeat meant, with only one fixture left to play, Waterford trailed the league leaders by four points. Unsurprisingly, a large band of Limierick fans turned up to Flancare Park the following night to cheer on Pat Scully’s side, who ran out 2-0 winners over Longford Town thanks to goals from Shane Tracy and Sean Brosnan. Limerick were overwhelming favourites to take the second tier title at the start of the season due to the resources club chairman Pat O’Sullivan has financed but actually achieving the success was never going to be an easy task and huge praise needs to go the way of Scully, the players and everyone involved in the club for their feat. A win at Turner’s Cross on Friday night and Sligo would’ve all but sealed their first league championship in 35 years. They weren’t at their best however, and a resolute Cork side held the Bit O’Red to a scoreless draw. With just three games to play, Ian Baraclough’s men hold a six-point lead over Pat’s, with Drogheda a further point back. Sligo do have to play those two teams in the next ten days though and if the Dubliners can get a victory at the Showgrounds on Saturday afternoon, we would have one dramatic end to the campaign on our hands. St Patrick’s Athletic became the first club to book their spot in this year’s FAI Cup final on Sunday with a convincing 3-0 win over Dundalk at Oriel Park. With Shelbourne and Derry City facing off in a replay tomorrow night after they couldn’t be separated the first time of asking, the Saints will have to wait to find out who their opponents will be at the Aviva Stadium on November 4. 2012 spelled the return of Liam Buckley and with him a raft of new signings and it has prove an excellent season for fans of the Inchicore club. Capturing the league may be just beyond them but no doubt they would gladly take the cup after 51 years of waiting. Too much protection for goalkeepers? Shelbourne were leading 1-0 early in the second half at the Brandywell when Derry thought they had equalised. A cleared corner was sent back into the danger zone where Stewart Greacen bundled it over the line. Referee Damien Hancock disallowed the goal, however, as the Chris Bennion held his face on the ground. Replays show minimal contact between David McDaid and the Shels stopper and a foul looked a harsh decision – although there was suspicion of a handball. Gone are the days when you could put opponents into the back of the net along with the ball. Killian Brennan scored his first league goal of the season on Friday night – and it was well worth the wait. The former Derry City man stepped up to take a free-kick 25 yards out from the Bray goal and curled the ball expertly over the wall and beyond Darren Quigley to put the Hoops 1-0 up in the first half. You can watch the goal on RTE’S MNS. Email “Barstooler: 5 talking points from last weekend’s League of Ireland action”. 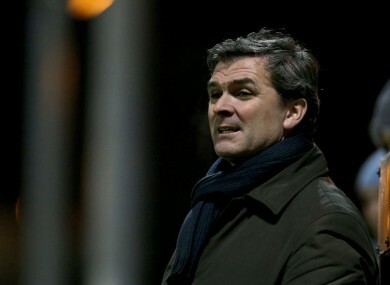 Feedback on “Barstooler: 5 talking points from last weekend’s League of Ireland action”.